Fannie Harless walked into her forever home in Mason and seemed very comfortable. Sherman is 15 and deaf, he seemed very excited to have a new friend to follow around. Eddie, Tina, Emily and Jake where thrilled to meet Fannie, she is exactly what they wanted and knows that Sherman and her will become friends. 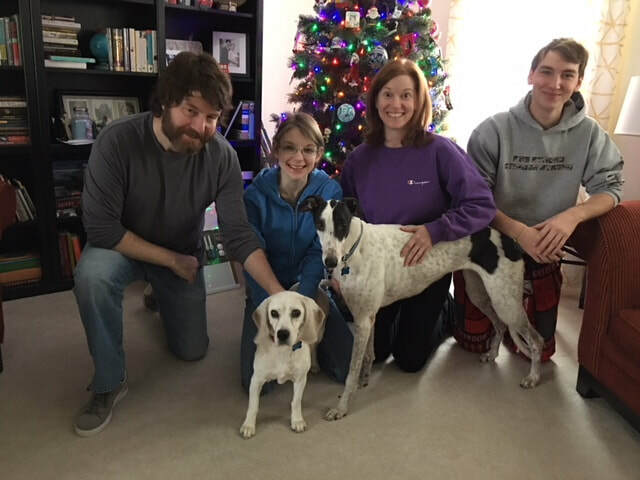 We are thrilled to have this animal loving family become part of our growing GAGC family!